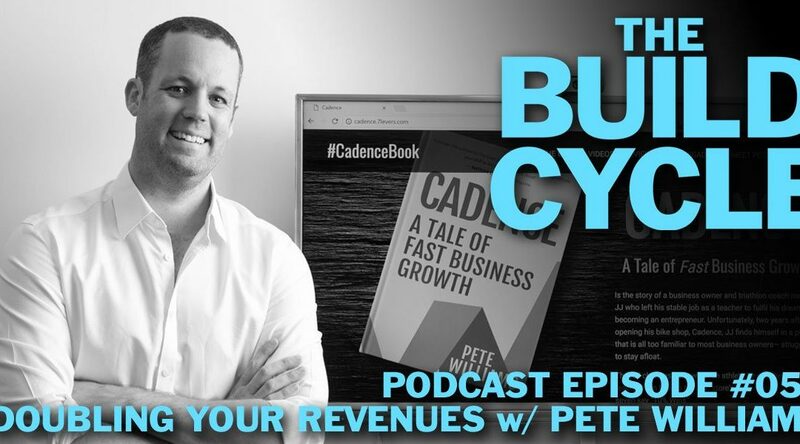 In the latest episode of The Build Cycle podcast, Pete talks to host Tyler Benedict about the seven things to look at in your business and explains how small gains in each adds up to massive growth. As a big picture, doubling your business does seem like a massive task. But author Pete Williams breaks the process down into seven things you need to focus on, then look for small 10% wins. Much like compounding interest, the cumulative effect of making small improvements in numerous areas of your business can quickly have a massive impact. In this interview, Pete shares numerous examples across various industries that illustrate some of the ways you can use his Seven Levers to grow your business. The Build Cycle is a podcast that features startup stories, and marketing and sales tips to inspire adventurous entrepreneurs to quickly launch their own business. Listen to the show here: http://tylerbenedict.com/2018/08/29/the-build-cycle-podcast-053-doubling-revenue-profits-w-cadence-author-pete-williams/.